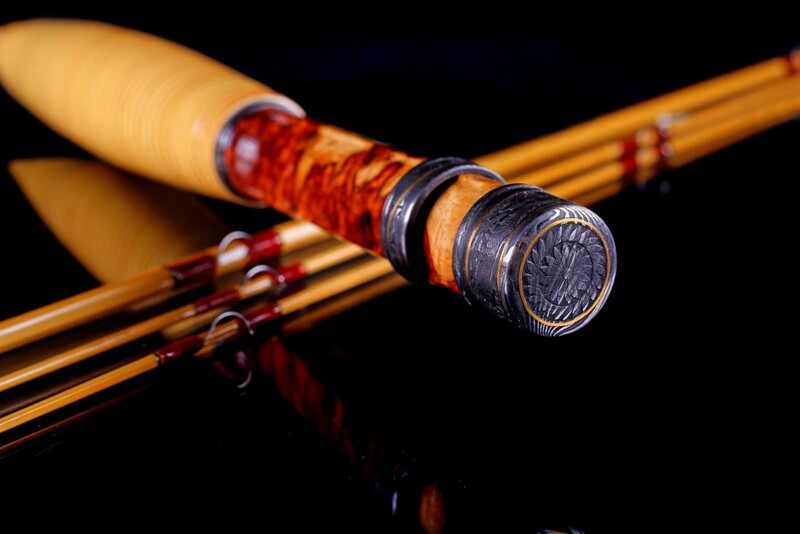 Let us create your own custom dream bamboo fly rod. 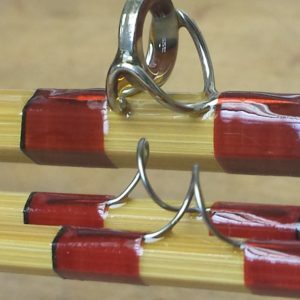 This non-refundable deposit secures your slot in our production cycle and begins the process of specifying the individual appointments you desire for your rod. Select the number of sections, the line weight designation, wrap color, cane color – what ever you desire – including hand cut engraving and 24k gold inlay if you like. All work is done by me in my shop. Our current lead times are from 6 -8 months, but please contact us for a more firm date based upon your design requirements and fluctuating work loads. The attached photo shows some of the options available. Damascus Hardware Hand engraved with 24k gold inlay.